I have to think of an idea for a Major Design Project and I have chosen to investigate watches and clocks. The project has to solve a problem so if there are any problems concerning the making or use of clocks/watches please reply. The problems could be like losing small gears in the carpet or not being able to clean a clock easily. Any help would be greatly appreciated. I take it you are asking FOR problems, not how to solve them, yes? Yeah, that's too vague-i'm lost. To avoid loosing small parts work on a clean surface with good lighting and be careful with the coil spring. A floor that's not carpeted will help. For finding parts lost in the carpet get a pair of nylons and secure the material over the nosel of your vacuum cleaner/shop vac useing rubber bands or a hose clamp. Floor vents can also be covered. I find LED lights with different spectrums help see small pieces on the floor. A pickup magnet can help with some parts. Here is a problem I have run into, but it may be outside the scope of your project. I am not a Horologist. In fact, I am more like a clock undertaker. However, I do try to see why a clock is not working before I disassemble it. Cuckoo clocks and small clocks that use a pendulum to control the speed at which a weight (or spring) moves have to be attached to a solid wall to work correctly. Otherwise the motion of the pendulum causes the clock to also swing and nothing works right. Wall space is a treasured commodity in my work area and is taken up with shelves and cabinets. Also, it is hard to work on a clock when it is against a wall. What would be useful is some kind of stand that these clocks could be mounted to while working on them. 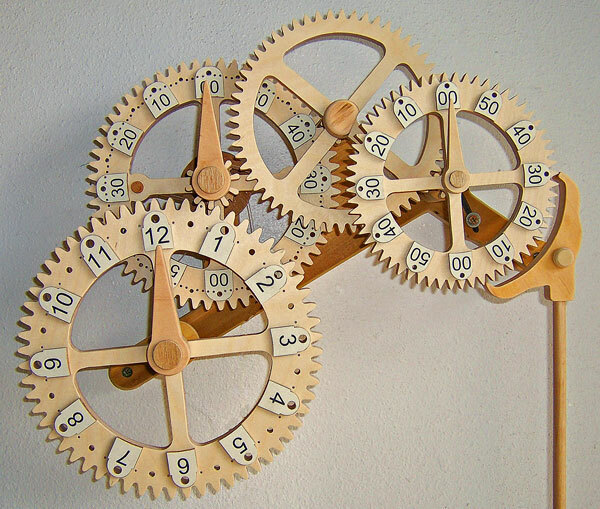 Solid enough to hold a clock stable, but small enough to be stored away – perhaps some disassembly. There would need to be space for the weights and pendulum to move or swing freely. Check out a black forest cuckoo clock for the right scale. These things may exist, but as I noted, I am not in the professional clock repair business and have little familiarity with what is available. I'll point out that Watch and Clock making is one of the oldest high-tech disciplines in the world; some of the smartest people in the world have been perfecting the art of making and servicing these devices for centuries (in the case of watches; far longer in the case of clocks). There are very few problems in this field that haven't been thoroughly dissected, and the ones that remain unsolved are usually wanting for a materials/technologies that simply don't exist yet. The co-axial escapment is a good example; hailed as one of the biggest advances in escapement technology in the last century, the principles of it were laid down by Breguet over two centuries ago; we just didn't have the manufacturing technology capable of consistently producing parts with the required degree of precision. Commercially, the biggest problem in the watch and clock business is that sales are way down. With a clock in every phone and every computer, few people are buying standalone watches and clocks. Come up with a reason for people to buy watches again and you'll have something valuable.